The 2nd Battalion, 64th Armor descended from the 78th Tank Battalion; activated on 13 January 1941 at Fort Knox, Kentucky. The Battalion was redesignated as the 758th Tank Battalion and was the first tank unit composed entirely of black soldiers. 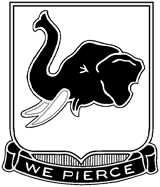 One of these soldiers designed the unit crest, which is still worn by soldiers of the battalion – the rampant head of a black African elephant symbolizing the soldiers’ pride in their heritage and their unit’s mission of mobile, spearheading, armored warfare. 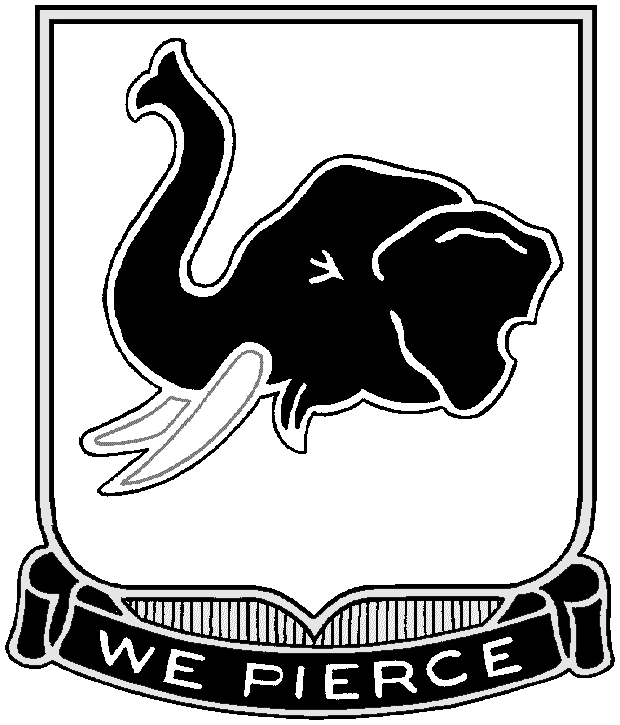 The two white tusks were reminiscent of the two white officers which commanded the unit. The 758th served with distinction in the Italian campaign of World War II, where it earned the first three of the many campaign streamers on the battalion colors. The battalion next saw action in Korea, where it fought under the colors of the 64th Heavy Tank Battalion. There it participated in a total of eight separate campaigns and fought from the intervention of the Chinese Communist Forces in November 1950 until the Cease-Fire in 1953. 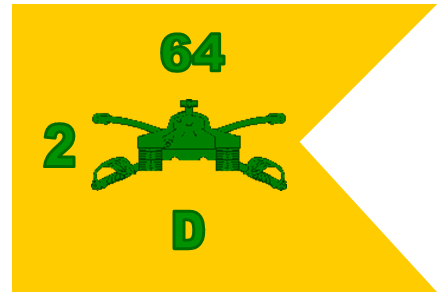 Following the Korean War, the 64th Heavy Tank Battalion was reorganized as the 64th Armor Regiment, a parent regiment under the Combined Arms Regimental System. The 2nd Battalion, 64th Armor was born at this time, and with its three sister battalions, helped to preserve freedom’s frontier in the Federal Republic of Germany. 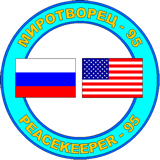 Stationed in Schweinfurt, it remained there 33 years until the inactivation ceremony of 5 April 1996. It was the second armored unit to receive the M-1 Abrams tank. During its tenure in Germany, companies of the Rogue Battalion performed numerous REFORGERs (Return of Forces to Germany), Winter Warriors, border missions, were selected as the United States' representatives for NATO’s Armor Competition, the Canadian Army Trophy (CAT) in 1989 and participated in Peace Keeper 95. The battalion reflagged on 5 April 1996 to the 1st Battalion, 77th Armor, 2nd "Dagger Brigade", 1st Infantry Division.